There are important new laws in place for Florida drivers. Call us today to have you protected. Drivers only have 14 days to seek medical attention after an accident. If you have been injured by the negligence of a driver while on your bicycle the law is on your side. Contact us today and speak with an experienced Miami personal injury attorney. Contacting a Hialeah injury lawyer after a motorcycle accident is crucial. You may have serious injuries and high medical bills months after, and having an experienced personal injury lawyer representing you means the difference between bankruptcy or big settlements. If you have fallen in a store and resulted in injuries from the fall. Call us today to speak with a lawyer to represent you. Do not try to talk to any store managers and make sure you make a report of the incident. You only have 14 days after an accident to seek medical attention or you forfeit your rights! Life can often throw curveballs at us in the most unexpected moments. Accidents can occur at any time on the road, leaving us financially and emotionally vulnerable. 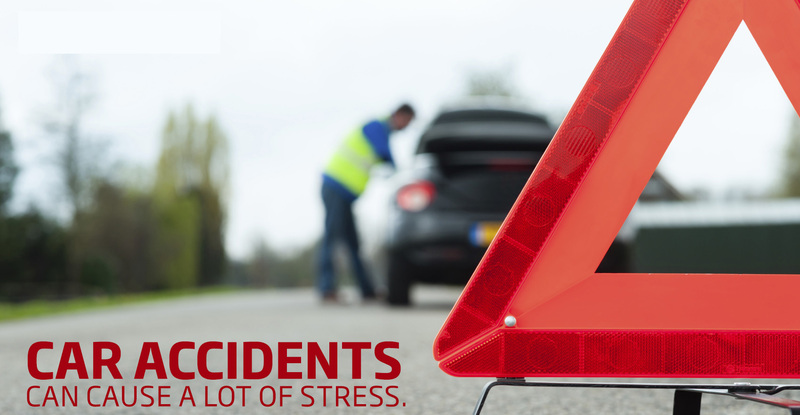 An accident can create major property damage, and leave you severely injured. The financial repercussions of the accident echo on for months and years afterwards; often leaving us in debt. In fact, medical expenses is one of the most common ways to go bankrupt in America. In the United States, all drivers are legally liable for their actions. If they inadvertently cause an accident, they have to pay for it. If they don’t, it’s on us – your personal injury attorney in Hialeah – to make sure the law is obeyed, and justice is served. However, we don’t just help you combat the effects of an unexpected car accident. From slip and falls, to dog attacks or other unintentional injuries, there are several ways in which life can change unexpectedly. Even if proverbially, life hit you with a truck… we’ve got the right Hialeah truck accident attorney for you. We can’t keep you safe from harm – but we can keep you safe from harm’s ulterior effects. We see to it that when you are in need of a Hialeah personal injury lawyer, we’ll get you competent representation. The kind you really need. The trouble with insurance is that often, when a claim really counts, and you need the money to help you cover your damages (or in the case of an automobile accident, the damages of the other party) insurance companies can refuse to pay you. They’ll find a reason not to. That’s why they have their own army of lawyers to ensure that they keep being a profitable business; while protecting themselves from “fraudulent claims”. That is why you need to call us immediately after an accident. We, at 305-Help-Now, stay true to our name. We help you through our own Hialeah injury lawyer, keeping you wholesomely represented in the court of law, against big and skilled insurance companies. It’s a tough legal dance, but with the right skilled Hialeah injury attorney, you can come out of it all with the compensation you need to cover your injuries and emotional costs. Here at 305-Help-Now, we’ll put you in touch with an accident lawyer in Hialeah for slip and falls, dog bites, car accidents, bicycle accidents, truck accidents, and more. •	Car Accidents – Car accidents occur in the tens of thousands per year – but while only a fraction are fatal, nearly all result in serious injury. These injuries should be the insurance company’s job to cover. Often, that isn’t the case. That’s where a Hialeah car accident attorney comes into play. •	Bicycle Accidents – While a Hialeah auto accident lawyer typically handles automobile accidents, the injured party isn’t always in another car. Bicycle riders need protection against negligent drivers, as well. We at 305-Help-Now provide that protection. •	Slip and Fall Accidents – No matter whether you’re in another person’s home or at the supermarket, property liability in the case of a slip and fall injury can help you cover your injuries through the expertise of a slip and fall lawyer in Hialeah. •	Motorcycle Accidents – The services of a Hialeah car accident lawyer can also help motorcycle drivers protect themselves after a serious car and bike collision. •	Dog Bites – We all know that dogs aren’t inherently harmful; but an unwarranted dog bite can be the result of improper handling. If you weren’t at fault, but were attacked anyways, then an accident attorney in Hialeah has got you covered. Here at 305-Help-Now, we offer our services as your personal slip and fall attorney in Hialeah. You can set up a strong legal defense that gets you the compensation you deserve for the trouble you went through. Call 305-HELP-NOW for a FREE Consultation. We contacted 305-HELP-NOW and they put me in contact with my now friend attorney. Thanks guys! I looked for a personal injury lawyer and no luck, with 305-HELP-NOW we spoke with a lawyer in two minutes. I've seen 305-HELP-NOW ads and always wondered if finding a lawyer for my case was the best way. I now know it is.